Unless they actually live in the desert, young children are likely to think that this environment is harsh, hot and dusty and its flora consist entirely of cacti and tumbleweeds. 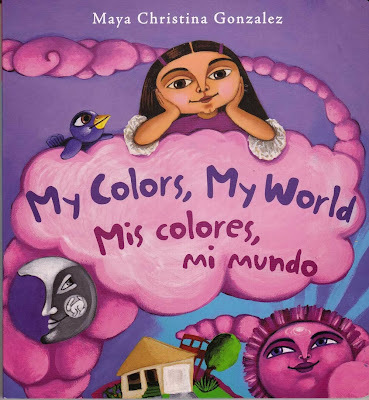 My Colors, My World is a refreshing, poetic, beautifully illustrated bilingual “concept book” that invites youngest readers and listeners to explore colors, shapes, science, geography, and how people live in their environments. As an exuberant little girl thinks about the colors in and around her desert home in the Mohave Desert, sometimes everything seems to be relatively monochromatic, but on close examination, everything becomes a brilliant riot of colors, tones, shapes, and textures. While young Maya shares her day of simple pleasures—from standing in the wind, to swaying on her swing, to having tea with the flowers, to greeting her Papi as he comes home from work, to watching “the hot pink sky turn into a dark blue night”—she invites young readers into her world. Introducing a new color on each page with the words of the colors painted in those colors, González’s acrylic-on-paper illustrations, in the rich colors of the desert, are big and bold and imaginative and joyful. And the Spanish translation is as simple and elegant as the English. This lively and colorful little book uses magical realism to draw in young children who see life in everything. Here, the sun and the moon have faces, a little bird closes its eyes to the wind, houses lean to one side, and Maya invites purple irises to be her guests for tea—offering them a pastry that she’s made out of a mud pie, a marigold flower, a stone and a leaf. 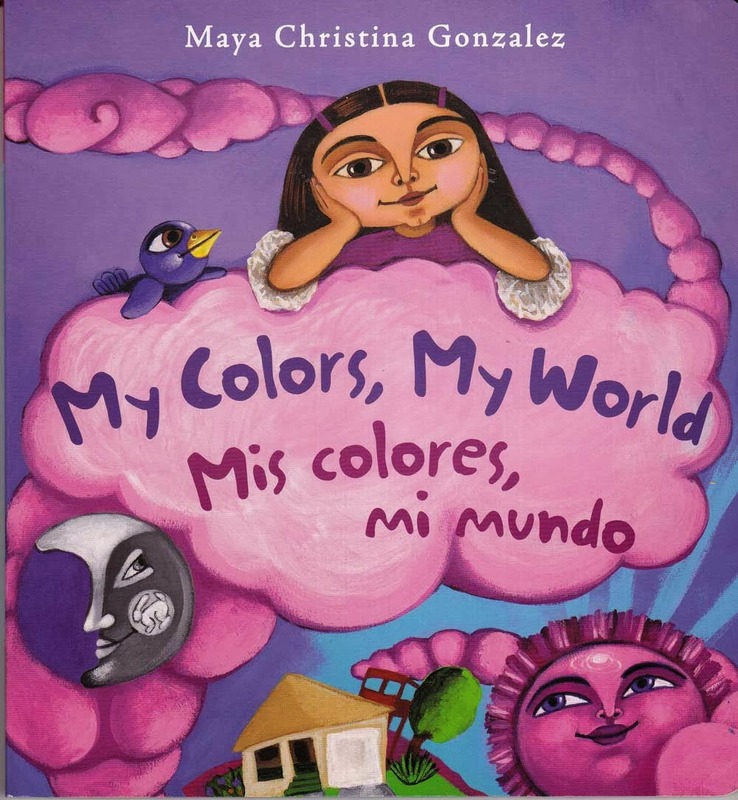 My Colors, My World / Mis colores, mi mundo is an engaging way to introduce children to all the colors of the desert world and to inspire them to look at their own worlds as well. It’s highly recommended.